Here are three great server options to consider as your grow your business. 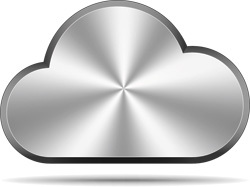 One of the web hosting industry’s favorite items to discuss right now is the Cloud. As purveyors of this technology with our Storm Servers, Liquid Web is well acquainted with the benefits cloud hosting brings to the table, though we want to make certain it’s the best solution for anyone who may be interested in it. In every case, our clients’ custom needs come first and we are happy to discuss server options with them and assist them in order to ensure that their account provides exactly the amount of hosting power they need. Creating Storm Servers can be done easily, in just a few steps. If you’re interested in a Storm Server for your web application, read our informative Knowledge Base article to see how it’s done. A third option open to our customers is to combine the power and customization of a Managed Dedicated Server (physical) with a Storm Server (cloud) with Hybrid Hosting. The combination of paramount durability with the easy scaling and pay-as-you-go control of Storm Servers, all within the same wholly-owned data center, adds a level of personalization to our customers’ cloud hosting experience. It provides customers with the ability to customize everything from server specifications, storage devices, load balancers, and firewalls in a manner that is exclusive to our hybrid hosting environment. All three of the above mentioned hosting solutions are great server options, depending on a specific customer’s needs. Having our highly skilled technicians at your disposal means that you don’t have to waste time and money guessing which solution is right for you. Our sales staff and Heroic Support® teams are always available, 24/7/365, to help determine the best way to outfit your hosting needs. For more information, call 1-800-580-4985 or Live Chat with our Support or Sales team today.